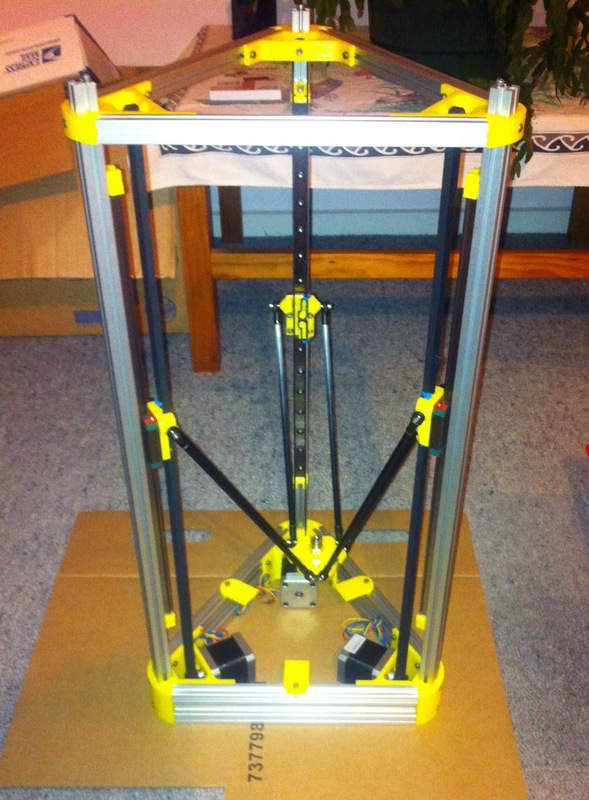 Dust's Reprap: Kossel Mini mechanical build completed. The carriages are not that strong, I’m using thing:221667 and the thin bits of plastic opposite the teeth have a habit of breaking off. I had to print two more, these could be made thicker without an issue. I also added zip ties to lock the belts into place. Making arms is not fun. you definitely need a jig. I got 200mm CF rods with the intention of trimming these down to 180. 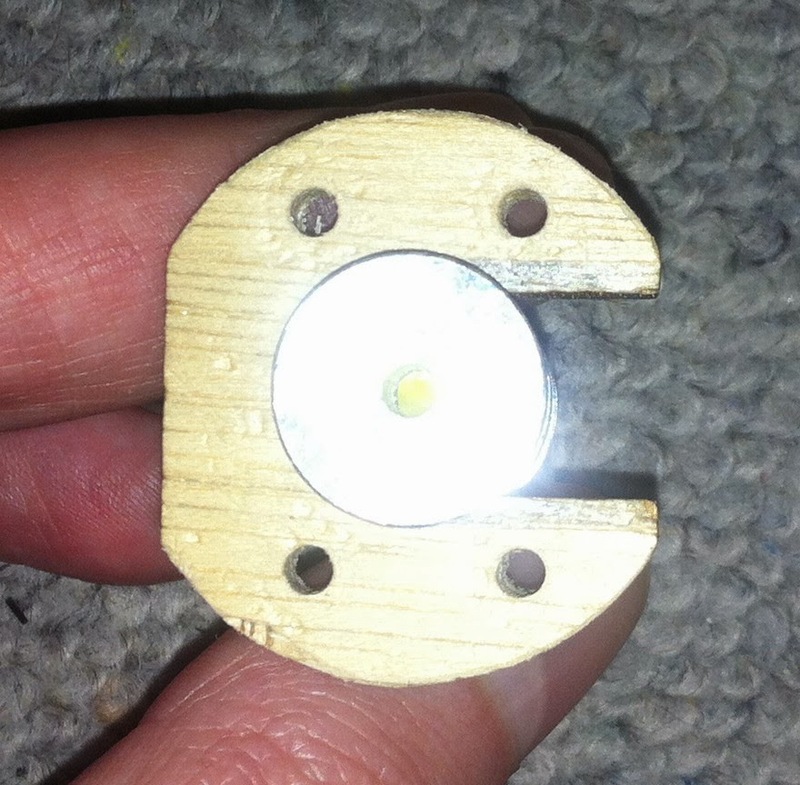 I only have a toy lathe, this thing is not that centred.. sadly it just turns the CF into a fluffy mess. I've decided to just use the 200mm. Luckily I have spares. The 170 diameter glass sits on 3 tabs, this is meant to be double sided taped into position or something.. this is not what I call ideal. I will have to look at alternatives, especially since I will be upgrading to a heated bed. The AluHotend did not fit in the the standard effector, so I tried thing:225718, but that also didn’t fit. So I made my own to fit. A printed hot end mount/fan mount is provided, but since I am printing in PLA that really not a good idea. So I'm going with the tried and true, wood! Probably going to attach the fan with unfolded paper clips. Looking good! I have a Kossel mini kit under my belt with which I was hoping to print off some of the experimental bot parts to play around with, but found the print area was a shade small unless I printed vertically (not a good idea) so my second build is actually going to be an oversize Kossel Mini building upon what I've already learnt plus using an Azteeg x5, 3mm filament & "V" wheel sliders. Most of this is on order. I can't wait to get started when I get back from my current work trip to Australia. Have not considered that... was not planing to push the driver very hard. For the current im planning the 8825 should be fine. Will find out when im up and running and stick a thermocouple on it. Would not be to much of an issue to raise it a little and duct a fan in from the side. Or maybe you can do that for your version.